We have over 30 year's leisure consultancy experience. David Minton, founder and Managing Director, leads the team of consultants, analysts and researchers. 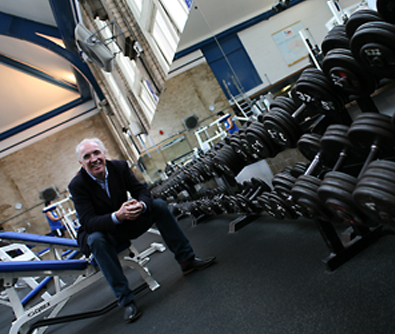 The company’s standing in the global fitness market is testament to David’s achievements. We work with the majority of the top 50 UK health and fitness brands and with over 400 public and private sector clients. With 30 years experience in the health and fitness industry, David Minton, holds a unique insight and perspective on the developments in the health and fitness sector. David is widely sought after as mentor, analyst, advisor and consultant by a range of worldwide health and fitness organisations and leisure investors. Natalie takes a lead in client management. Her expertise in site analysis and member profiling is unsurpassed in the industry. Natalie has been involved in profiling millions of fitness members and establishing the de facto supply demand model for the fitness industry. Jamie focuses on new digital projects which arise from the collision of data and technology in the leisure sector. He also covers all areas of IT in the company and oversees the development of our TLDCi sports facility database. Charlotte is responsible for the TLDCi data analysis business unit which includes managing our dedicated research team. Her aim is to ensure that our fitness data continues to be more comprehensive, more detailed and more accurate than any other data available on the fitness industry. Abi is an experienced sports researcher who is responsible for keeping the sites on our TLDCi database up to date and accurate in addition to working on specific client research projects. She is also responsible for TLDC's social media as well as our new Social Media Fitness business unit. Chay is a sports researcher who is responsible for keeping the sites on our TLDCi database up to date and accurate in addition to working on specific client research projects.